This exquisitely crafted itinerary of Maharajas’ Express called “ The Indian Splendour,” of 6 Nights and 7 Days with the aim to connect you with the royal Indian states where you can experience the charm and warmth of the states. Visit the monument of love- Taj Mahal, spot the tigers at Ranthambore and get soaked in the royal heritage of Rajasthan through the guided off train excursions that comprises of splendid forts, colorful bazaars and relishing royal cuisine. The perfect blend of unique culture, history, folklore, impeccable hospitality and the royal splendors of incredible India will create everlasting memories. Train starts in Delhi on Sunday morning. Brunch served onboard. By evening, it reaches Agra. Sightseeing trip to Agra fort and return back to train for overnight stay and dinner. 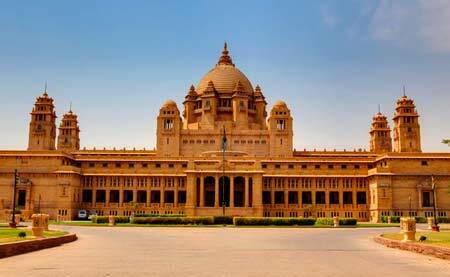 Trip to Taj Mahal and breakfast at any high-class hotel. Train journey to SawaiMadhopur and lunch is served onboard. The train reaches SawaiMadhopur by late afternoon. 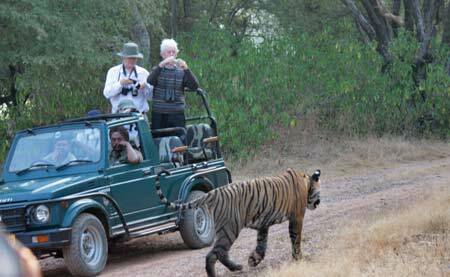 Excursion to Ranthambore National Park for safari and other activities. Overnight stay and dinner in the train as it runs towards Jaipur. Train reaches Jaipur by morning. Breakfast in the train and excursion to visit Amber Fort. Reach the train for lunch and brief rest. City tour in the evening along with dinner at any exclusive hotel. Overnight stay in train as it runs to Bikaner. Morning is at leisure to enjoy in-house amenities. 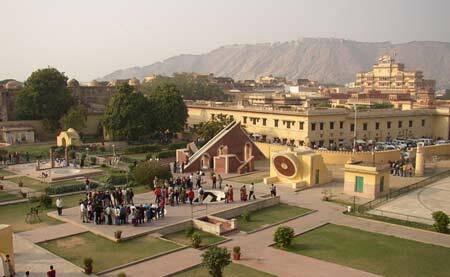 After lunch, you would be taken for an excursion to Junagarh Fort and an Arabian Nights style barbeque evening in sand dunes. Overnight stay in the train as it moves towards Jodhpur. 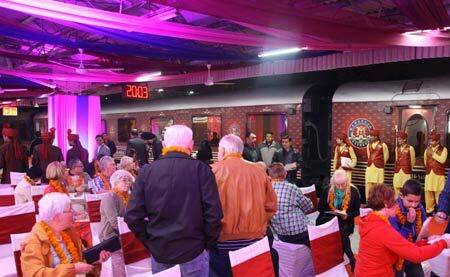 The morning is free for tourists to enjoy amenities inside the train. Breakfast and lunch would be served on-board. 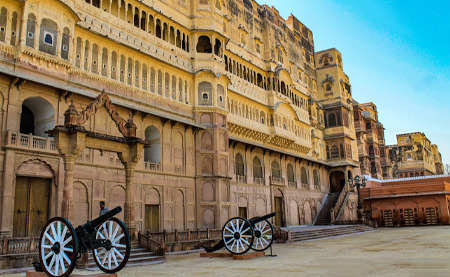 After lunch, excursion to Mehrangarh fort and walking tour to the Old Clock Tower Market. Dinner is served at any exclusive hotel. Overnight stay in the train as it continues its journey towards Udaipur. 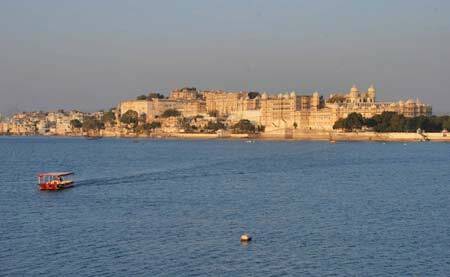 After breakfast, visit to Lake Pichola for a romantic boat ride and excursion to City Palace. Lunch is served at an exclusive hotel. Overnight stay and dinner onboard as the train moves towards the final destination, Mumbai. Train reaches Mumbai. After breakfast, the checkout formalities start. Guests may stay back if they wish to get indulged in the optional experiences and can later join the main group.